Congratulations to the United Arab Emirates and Happy National Day! On the 2nd of December 1971, six Emirates at the South Eastern End of the Arabian Peninsula joined together to form the federal union. The Emirates of Dubai, Abu Dhabi, Sharjah, Fujairah, and Ajman were joined three months later by Ras Al Khaimah to form the seven emirates of the United Arab Emirates. National Day is the annual celebration held on the 2nd of December which commemorate the union of these states, which are joined together by a long and ancient history. Prior to 1972, the Emirates of Dubai, Abu Dhabi, Ras Al Khaimah, Sharjah, Fujairah, and Ajman emirates were collectively known at Trucial States and they focused on the traditional pearl diving and sea trade around the Gulf and Indian Ocean. The UAE has two national animals the Oryx and the Flacon. The Arabian Oryx is a type of antelope with the amazing ability to sense rain and the herd will move to the place where the rainfalls. The oryx only lived in the Arabian desert and went extinct in the 1970s however they were successfully reintroduced in the 1980s. Prior to the 1960s the diet in the UAE mainly consisted of fish dishes, rice, bread, vegetables, dates and some meats. The variety of food eaten has increased with the arrival of imported foods and improved food storage facilities. Cooking and food is very important part of Arabic tradition and the Emiratis like to show off their hospitality with a variety of dates, sweet treats and coffee. These are frequently cooked and served by the maid while men and women socialise separately. According to Muslim religion they do not eat port or consume alcohol. 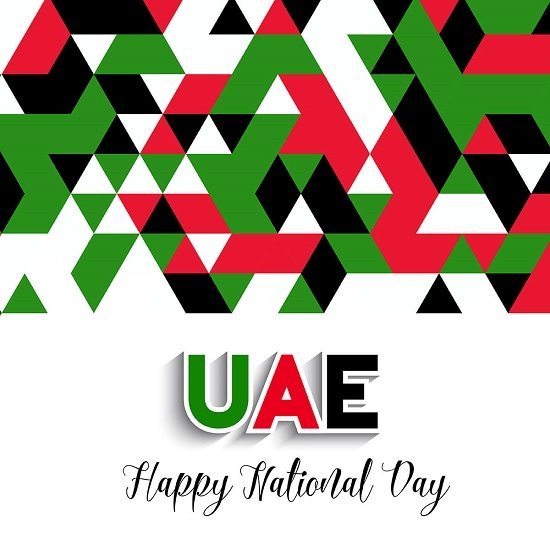 National day is traditionally a holiday for the public and schools and most businesses are closed for the day, meaning that the people of the United Arab Emirates will be free to celebrate the birth of their great nation. Frequently maids will not be given the day off. Often employers will give their housemaid an alternative day off in lieu or a gift to celebrate the occasion.